Nearly 200 primary school children from Eastbourne and Brighton participated in the University of Brighton’s widening participation project during the school Easter holidays. From 30 March to 2 April, children aged between seven and eight worked in teams during the week as part of the Cool Club whilst those aged nine and ten followed a similar programme known as the Challenge Camp. 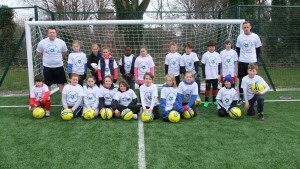 Boys and girls from Eastbourne and Hastings came together during the school half term holidays in May to take part in the Football 4 Peace Challenge Camp at The School of Sport and Service Management in Eastbourne. 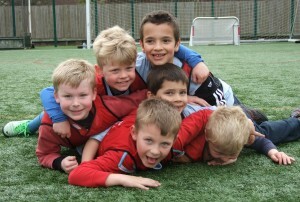 Children from primary schools in Brighton and Eastbourne took part in the University of Brighton’s Easter Challenge Camp in from 14-17 April at the School of Sport and Service Management in Eastbourne. 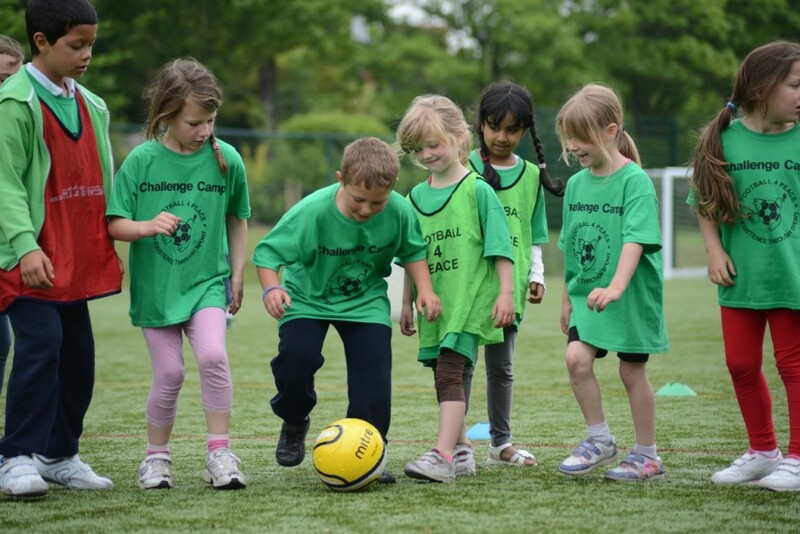 Encompassing the Football 4 Peace International (F4P) principles, the University of Brighton has developed an exciting opportunity for boys and girls aged 8-11 years. 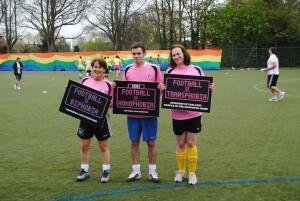 University of Brighton students and Football 4 Peace coaches led a festival of sport for students at Sussex Downs College entitled F4P v Homophobia. The group worked alongside a small group of the college’s enterprise apprentices to run the festival. 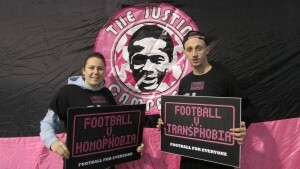 The festival is F4P’s own take on the Football v Homophobia international initiative. On the 1st of May, for the second year running, The University of Brighton hosted the F4P v Homophobia Festival in support of the Justin Campaign. Students volunteering for F4P ran the event, which followed the F4P festival format. Therefore, in addition to the match score, teams scored points through the extent to which the way they played reflected the F4P fair play values. T he collaboration of Football4peace and Eastbourne Town FC saw children from schools across the community come together at the University of Brighton for a free three day event run by students and staff. The F4P values based coaching methodology was applied. Children made friends from other schools and learnt, through taking part in the activities, the F4P values of fairplay and about the importance of a healthy lifestyle. PGCE Trainee teachers of Physical Education from the Chelsea School of Sport facilitated a day of leadership training for 50 year 10 aspiring student leaders from Ratton Secondary School in Eastbourne on May 23rd. 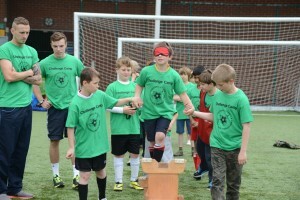 Pupils took part in a series of activities designed to build relationships, solve problems and promote decision-making. Examples included team building activities, problem solving, decision making scenarios and trust games as well as a classroom-based session on what it means to be a student leader.